A well-defined website, great planning, willingness to invest, and great motivation are factors to succeed in an online travel business. Part 1 was about initial stages of setting up an online travel business. You can choose to become an affiliate of an established travel company or as a referral agent. Or, you may begin your own online travel agency. Whichever you choose to become, you will need to have a well-defined website to connect to your customers and audience for bookings. You need to develop a good business plan which includes your start-up cost, expenses, and resources of your investment for this online travel business. You should also include in your business plan how to find your customers. This business should be built with a system where you can easily monitor your business. A system that allows you to manage it until you can keep your online travel agency running smoothly and giving you profit. You will need to get a business license. Contact your local government for relevant information regarding licensing of your online travel business. Get legitimate local or regional travel association memberships. If you are in Australia, secure membership with AFTA or Australian Federation of Travel Agents. Membership with related associations will help you build your credibility as a travel agent. This will help you increase your opportunities to receive training and commissions. Secure appropriate travel insurance for your online travel business. This will secure your business in case you make some mistakes and your client files legal action against you. When this occurs, you may have to personally reimburse clients for some of the mistakes or lapses. With error and omissions insurance, it has a policy where it requires a deductible method. For example, the policy which you have requires you to pay the first $500 of any claim from your pocket. Establish your online travel business office in your home or in any place where you can make reservations and other related tasks. For this online business, you will need a computer with fast internet connection and printer, a fax device and a telephone. Design and build a website for your online travel business to boost your online presence and connect to wider audience. You can invest on a well-designed website by hiring reputable web developers and help you plan and create your site. They can also help you in your internet marketing methods to generate traffic to your site and produce conversion rates. You can also consider using other marketing methods such as print ads, flyers, and social media. Web developers with SEO capability can help you in these tasks. Online travel business is a lucrative business with Australia’s tourism continues to be on the rise. This type of online business is simpler and cheaper to get it running. Start-up investment for this kind of online business is as low as $200. If you choose to be an affiliate or join a host travel company, they will provide you with basic requirements to start your online travel business. 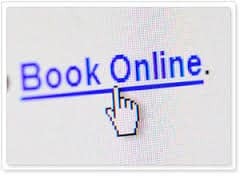 You should have an official website where you can accept online customers and bookings even if you are offline. You do not have to worry collecting the fees since the host travel company will collect them. Generally, you will receive commission for every reservation your customers make through your website. Your website should have the system to serve your customers and accept bookings. The travel company you are considering to affiliate or join with will provide you with quick training. Others provide a welcome kit with detailed guide you can follow. It will give you an access to their official site and get support from other travel agents. Some travel companies will provide you with webinars and online conference for your training. If you are employed, you do not have to quit your present job. This can be your way of generating additional income. Australia has joyful events and celebrations the year round. 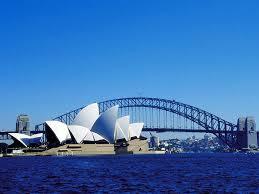 Help advertise how beautiful Australia is by encouraging your customers around the world to come and visit Australia. We will be very happy to answer if you have any question or you share your views about online business.